Learn this video by heart. (SPOT.ph) Anyone who works has, most likely, experienced dealing with a rush project. Yes, those time-sensitive tasks that have your boss breathing down the back of your neck, waiting for a result. There's not much you can do about a rush project other than just rolling up your sleeves and getting right into it. But, as the above video demonstrates, there's more to dealing with rush projects than just approaching them head-on. Certain techniques, when practiced and perfected, will make these a little easier to deal with (can we get an "amen" for no more procrastination?!). And, of course, let's not forget that taking a quick break in between to recharge and realign is just as important. And when you take a break, don’t forget that the clock is still ticking – so better make sure that you can have a good meal that’s also quick. Pizza Hut Lunch Express might be just what you need. Delivered to your table within 10 minutes when you dine-in - or it’s free! – it gives you more time to enjoy your food, and more time to handle that rush assignment. Even better: these combos start off at just P99, so you can count on a filling meal for a great price. Head on over to the nearest Pizza Hut and discover for yourself that when it comes to lunch, you don’t have to rush. 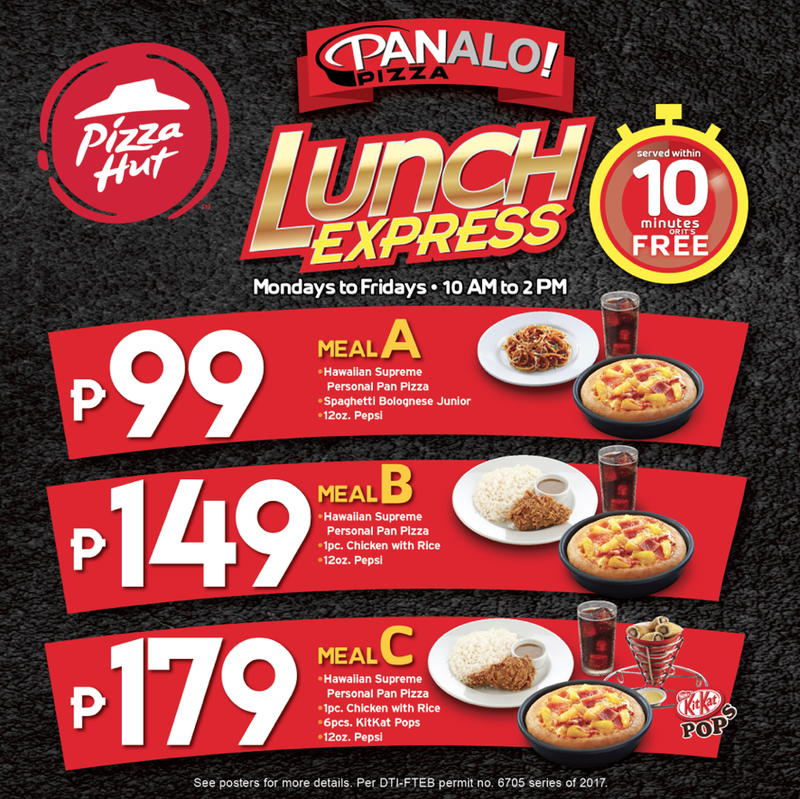 Pizza Hut's Lunch Express meals are available Mondays to Fridays, 10:00 AM to 2:00 PM, excluding holidays. Visit Pizza Hut's Facebook page for more details. This article was created by Summit Storylabs in partnership with Pizza Hut.